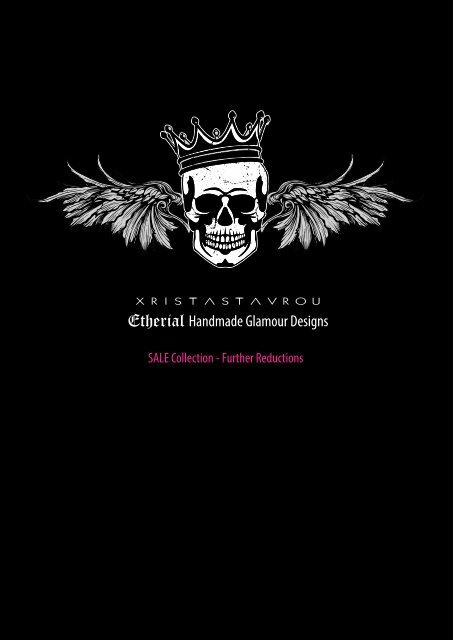 Digital Art with Xrista Stavrou http://www.moiostrov.com/magazine/digital-art-with-xrista-stavrou/ Xrista Stavrou, one of the Island’s award winning Digital and Design, presents her New Etherial Tee Collection SS 2015-16. Her passion for Digital Art and Fashion led her to draw digital works of art and transfer them to clothes of her own creation through the method of silk screen printing. In the process of launching her SS16 Collection of digital art design on clothes inspired by the two basic directions “emotional and figurative connotations of the shapes they create on the form and feeling you have when wearing each piece”. Each of her collections have a signature design process that makes them unique from any other design that we have seen so far which identifies her as “the voice of today’s contemporary culture using digital design in the most impressive forms of art on clothes and much more.’ All of her designs are almost always rooted in a personal mash-up of feelings “I’m an extremely visceral person and in many ways I put myself wholeheartedly into each design. I always try to convey my feelings and emotions through my designs”.